This is a guest post from Dr. Voddie Baucham, Jr. 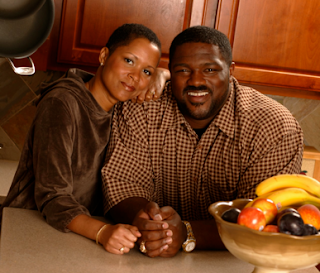 It originally appeared on his blog Voddie Baucham Ministries: Truth in Love on Thursday, June 25, 2009. Voddie wears many hats. He is a husband (to the queen of his heart, Bridget), father (of 5), committed home educator, pastor, author, professor, conference speaker and church planter. He currently serves as Pastor of Preaching at Grace Family Baptist Church in Spring, TX. He has served as an adjunct professor at the College of Biblical Studies in Houston, TX, and Union University in Jackson, TN. He has also lectured at Southern Seminary. Anyone who has kept up with my blog knows that I am no fan of government education. I have made it a point to carry The Continuing Collapse on a regular basis, and I try to make biblical, philosophical and theological arguments in favor of Christian education as often as possible. However, I recognize the obstacles those of us on my side of the street face. As many as eighty-five to ninety percent of professing Christians send their children to the government for their education. That is simply an astonishing figure considering the fact that the Christian community fought mandatory government education tooth-and-nail for it’s first fifty years of existence. Since then we have gone from fighting against government schools to fighting for them and implying that those who fight against them are fundamentalists, anti-intellectuals, and racists. No academic skepticism, no secularist authors, no blatant materialism can so undermine the spiritual life of the country like the completely secularized training of the child under the authority of the state... Bible-based education is mandatory for Christian parents. If we think we can keep our children in a secular school system and escape the dumbed-down, amoral, and immoral results of secular humanism in schools, we are sorely mistaken (emphasis added, see: http://daveblackonline.com/our.htm). This may sound like a no-brainer, but you’d be surprised how many people ask home educators the “authority” questions (i.e., to whom do your report? who approves your curriculum?). These questions are the byproduct of statism. The Gramscian, neo-Marxist influence is so prevalent in our culture that we don’t even recognize it anymore. We actually believe that children are wards of the state when in fact they are not. As a result, some people have a hard time believing that they have the right to educate their children in a manner of their choosing. Well, I’m here to tell you that you are free. Your children are yours. They do not belong to Caesar. You don’t have to take them back to the local government indoctrination center next semester. And in some states (thank God for Texas), you don’t even have to tell them you’re not coming back! One of the issues that many Christians seem willing to ignore is the fact that sending children to American schools represents extremely poor stewardship. American students continually rank at the bottom in math, science and reading compared to other industrialized nations (see here). That’s right, our educational system is among the world’s worst! Of course everyone says, “Our schools are different.” News flash... that’s a lie! One of our elders taught honors math at one of the “best schools” in one of the “best school districts” in Texas (you know, one of those schools people lie and cheat to get their children into so that they can get a better education). His advanced geometry class was filled with a bunch of imbeciles who could barely do basic arithmetic. As a result, most of them failed their first major test. You know what happened next. That’s right, the principal called him into the office and told him to make things right. One of the things he was told to employ was a grading technique called “Square root times ten.” Thus, a student who made a 49 on a test ended up with a 70 in the grade book (for those of you who went to government schools like me, that’s the square root of 49 times ten). This is what’s happening at our “best” schools. Don’t believe me? ask a college admissions worker how many students coming from our “best” schools with grade point averages hovering near 4.0 need remediation when they get to college. It’s an absolute joke. The overwhelming majority of children in our schools have a B average or above (mostly for self esteem reasons), which serves to give them and their parents a false sense of achievement. It also results in people who ‘feel really good’ about their schools. Please don’t buy the lie. Your child’s school is probably terrible. If you really care about the stewardship of you child’s mind, don’t send them back to the worst schools in the industrialized world next year. Jesus made it quite clear when he said, “Whoever is not with me is against me, and whoever does not gather with me scatters” (Matthew 12:30 ESV). I am amazed at how many Christians refuse to acknowledge this fact as it relates to the government school system. Our education is either based on biblical truth, or some other truth. There is no such thing as neutrality in this regard. All education is religious in nature. Since it is illegal for students in our government schools to be taught from a Christian perspective, then it follows that they must be taught from a non (or anti) Christian perspective. I recognize that educational antinomianism is the norm in the modern American church. According to the common refrain, “It doesn’t matter what educational choice you make... you just have to pray about it and do what the Lord leads your family to do.” However, I must confess I find this this concept disturbing on a number of fronts. First, this kind of thinking denies the sufficiency of Scripture. The Bible speaks either directly, or principally to every aspect of life. There are no grey areas. Sure, there are things that are difficult to discern, but education is not one of them. Though you won’t find the word ‘education’ in Strong’s Exhaustive Concordance, there are a number of passages that speak directly to the issue of training ourselves and our children intellectually, spiritually, philosophically and morally (See Deut. 6:6,7; Prov. 1:7; Eph. 6:4, etc). We also have numerous warnings against allowing others to influence us intellectually, spiritually, philosophically, and morally (Psalm 1; Rom. 12:1,2; 2 Cor. 6:14ff; Col. 2:8, etc.). The Holy Scripture is the only sufficient, certain, and infallible rule of all saving Knowledge, faith and obedience; Although the light of Nature, and the works of creation and providence do so far manifest the goodness, wisdom and power of God, as to leave men unexcusable [sic. ]; yet are they not sufficient to give that knowledge of God and His will, which is necessary unto salvation. Therefore it pleased the Lord at sundry times, and in divers manners, to reveal himself, and to declare that His will unto his Church; and afterward for the better preserving, and propagating of the truth, and for the more sure establishment, and comfort of the Church against the corruption of the flesh, and the malice of Satan, and of the World, to commit the same wholly unto writing; which maketh the Holy Scriptures to be most necessary, those former ways of God's revealing his will unto his people being now ceased. We reaffirm the inerrant Scripture to be the sole source of written divine revelation, which alone can bind the conscience. The Bible alone teaches all that is necessary for our salvation from sin and is the standard by which all Christian behavior must be measured. We deny that any creed, council or individual may bind a Christian's conscience, that the Holy Spirit speaks independently of or contrary to what is set forth in the Bible, or that personal spiritual experience [i.e., “the Lord told me”] can ever be a vehicle of revelation. There’s enough here for an entire series of posts (so many posts... so little time), but for now let me simply say that the “the Lord told me” line of argumentation has serious theological problems. We must make our educational decisions with an open Bible. “The Lord told me” is no substitute for “the Bible says...” Please don’t make a decision about your child’s education without consulting (and obeying) the Scriptures. This week the SBC hornet’s nest is being stirred up again over the education issue. The last time this happened I was beyond embarrassed as I listened to my esteemed colleagues make illogical, unscriptural, cowardly arguments for “not giving up on ‘our’ schools.” How I long for voices like Hodge, Van Til, and Machen (who called government education a “soul-killing system”) to be heard among my brethren. 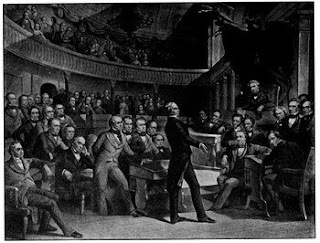 However, with over eighty-five percent of our children in the government schools and more government school teachers and administrators than any other “denomination”, it is highly unlikely that our side will prevail on this issue any time soon. One wonders what the schools will have to do to our children before we are willing to acknowledge the folly of our choices. In the meantime, I will continue to watch, fight, and pray, and try to convince as many of you as I can to liberate your children from Caesar’s indoctrination camps. 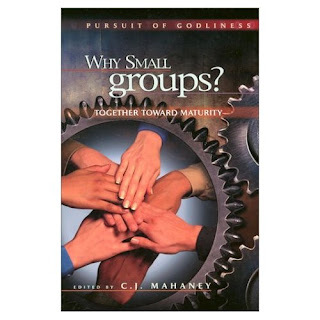 For the past few months, I have had the privilege of reviewing chapter by chapter Why Small Groups? Together towards Maturity edited by C.J. Mahaney and published by Sovereign Grace Ministries. 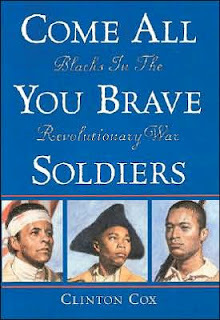 This is a great book!!! and as amazing as it sounds, you can get it for free (and that's not one of my typos). Here's a sample of my review followed by information as to how you can get this free e-book that sets a new standard on discipleship. An old black preacher once said, “You can no more do what you don’t know than come back from where you ain’t never been.” That’s so true. If we became aware of the fact that there was a life-changing truth that we needed to know and didn’t, then we could diligently study to learn it, memorize what we learned, and get help to learn how to apply it to our lives so that we could do it. But the old preacher is right, his axiom undeniable, and Hosea concurs, warning us of as much, when he laments, “My people are destroyed for lack of knowledge.” The solution for all God-fearing believers then is this, we must inextricably link our quest for right living to right thinking (Ps 119:9). The great need of the hour today is for the church to relearn how to progressively grow in holy living. We need to regain a biblical vision for how to become Christ-like and how to live in God-pleasing ways in an ungodly, please-me, pleasure-seeking world. That’s obvious to all of us. Collectively, we seem to have forgotten how to live holy, and you can’t do what you don’t know. Ask just about any pastor, church leader, or church member to honestly answer this question: Are you living holy like God is holy? Wouldn’t the most honest answer be Daniel’s quote, “We have sinned. . . . Righteousness belongs to You, O Lord, but to us open shame” (Dan 9:5, 7)? And wouldn’t we, like Isaiah under God’s piercing holiness, confess, “I am a man of unclean lips, and I live among a people of unclean lips” (Isa 6:5)? With holy living as our standard (1 Pet 1:15-16), this is not the church’s finest hour. The church desperately needs to relearn how to grow in progressive holy living. We need Spirit-filled, seasoned/wise, Bible breathing men of God to re-teach us how to live like our holy Savior. That is the great need of the hour for the church today. That is why Covenant Eyes asked me to do a thorough review of a very promising book, Why Small Groups? Together toward Maturity. The question I have sought to answer with chapter by chapter blog style reviews is, do these authors and does this book significantly empower the church to live holy? WHERE TO GET THIS E-BOOK? To read the rest of this review and to download a free copy of this e-book go to Covenant Eyes, and then spread the word!!!! Heeding the advice of the wisest man to ever live, who said "It's better to go to the house of mourning . . . because that is the end of every man, and the living takes it to heart," Ecclesiastes 7:2, I stopped to watch the memorial service of Michael Jackson because there is so much to take to heart from his death. As a minister of the Gospel, I have witnessed my share of memorials. This one will stay etched in my mind for many reasons, but namely because of who died and how he died. So if for no one else but for me, I thought I would write down what I took to heart from the memorial of an icon—Michael Jackson. How Do You Say Good Bye to a Legend? There were so many poignant moments in this service. Who watched Michael Jackson’s memorial and wasn’t touched by Steve Wonder’s regretful words, “This is a moment that I wished that I didn’t live to see come,” and didn’t agree with his haunting poetic line “I never dreamed you’d leave in summer.” Who watched Michael’s memorial and wasn’t moved when Usher’s voice cracked while singing a tribute to his idol. Whose heart didn’t feel compassion when Brooke Shields’ reminiscence revealed the humanity of her friend. Who listened to Rev. Al Sharpton and wasn’t provoked? Who didn’t feel pain when Marlon Jackson lamented losing his brother? Who didn’t cry when little beautiful Paris Jackson said how much she loved her daddy and how he was the best father “you could ever imagine”? I did. I was touched. I was moved. I felt compassion. I was provoked. I lamented. I even shed a tear. So how do you say goodbye to a legend? Not easily. But with dignity and heartfelt emotion, Michael Jackson’s friends, family, and fans bore this sober task well. The way you say goodbye to anyone in death is that you remember their life and mourn their departure. The real question is, should you mourn as someone with a real hope that the deceased is with God, or should you mourn without hope, knowing that the deceased will be separated from God forever in judgment? How Do You Give Tribute to Fit the King of Pop? To the countless number of people all over the globe who can say that Michael sang the sound track to their lives, today they and the world were reminded of Michael Jackson’s unparalleled genius as a performers. 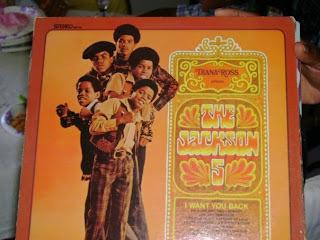 One of my earliest childhood memories, is trying to imitate the Jackson 5 with my sisters and a couple of neighborhood friends. But try as we might, we failed like everyone else to reproduce the magic that was Michael. After childhood success a decade later, the world still danced to his music with “Don’t Stop to You Get Enough,” and then watched in amazement his MTV color-line breaking “Thriller” video. Like few others and without a peer, Michael kept making himself relevant and fresh to generation after new generation of music lovers. There was “Man in the Mirror,” and “Black and White. Even celebrities seemingly stood in line to take part in his blockbuster videos, like “Remember the Time,” with Eddie Murphy, Magic Johnson, and Iman. And who can forget Michael Jordan in his “Jam” video. To young and old audiences, to American and international fans spanning the globe, Michael sang the songs of their hearts and was a thriller as an entertainer. That was the genius of Michael. Michael was huge, bigger than huge. Michael really was iconic. So today it was fitting that his peers would acknowledge that he had none. They spoke of his unmatched talent as an artist and perfection as a craftsman. Some will debate it, but Barry Gordy’s point is hard to dispute that in our age of entertainment Michael Jackson was simply better than all the rest. What about the Haunting Questions that Won’t Go Away? It would be both naïve and as spurious as a historical revisionist to say that talent alone made Michael Jackson a name known around the world. In death, the living need to take to heart the totality of the life of the deceased. In Michael’s life, his success as an performer only seemed to be rivaled by his unsuccess to find peace in his personal life. Michael gave to the world his enormous talent and in return the world gave him the supposed gift of elevating him to a god-like status. Where could Michael go, what could he do without fans thronging to him as if off the stage he possessed a magic that would heal their lives. Mega-superstar fame is a curse. It is the curse of being known by millions of people who don’t know you but assume that you can fill the place in their hearts reserved for God and God alone. The goddess of beauty, Marilyn Monroe, the king of rock ‘n’ roll, Elvis, and now the king of pop, all in some ways died trying to carry the weight of deity. How else do we explain the profound loneliness of a man known by everyone? How do we account for the morbid sadness in one who had everything, but not what mattered most—security, love, peace, and happiness? How do we reconcile the tragic irony that while Michael entertained the world, he languished in agony? How do we ignore the tormented soul behind the many faces of Michael Jackson? Now that the king of pop has died, and the memorial has ended, will the haunting questions die with Him? Do we ignore the upcoming toxicology and coroner’s reports? Even if a fair minded person accepts Michael's reported child-like innocence, a recantation years after a settlement, and an acquitting verdict, should we give no thought to propriety of a grown man sleeping in the same bed with little boys? Should no one really care to know what really went wrong? Can We Put Michael Jackson in Heaven? As in the case of the death of every loved one, the living have a powerful desire to vindicate their lives. We seem to think if we can focus on the good they have done, that will erase the bad. But in death, God does all the judging, and He overlooks nothing (Ecclesiastes 12:13-14). So where does this leave the king of pop? I am not shocked that people who do not trust in Jesus alone (that Jesus’ death for our sins and His victorious resurrection granted Him all authority to pardon those who believe in Him and to leave everyone else in their sins to be condemned) speak of doing good things as the way to get to heaven. But I am always stunned to hear professing believers hedge, and comprise on this, the most essential truth in all of Christianity, that God saves sinners as a gift of His mercy who trust alone in His Son Jesus Christ the Lord. So when the question is asked, did Michael Jackson go to heaven, the only answer a true Christian can give is what the Bible says, “He who believes in the Son has eternal life; but he who does not obey the Son will not see life, but the wrath of God abides on him,” John 3:36. The question then is not if Michael Jackson did enough good things to get into heaven. Because the answer to that is that no one has. That’s not to ignore the fact that Michael did a lot of good things. But it is to acknowledge that like everyone else, Michael has done a lot of bad things, because no one lived a sinless life except Jesus. The issue upon which Michael’s eternal destiny and everyone’s eternal destiny depends is if a person ever turned in a loyal committed relationship to Jesus Christ based on faith alone. The answer to that question and that question alone, according to the Bible, tells where a person will spend eternity. And while I am not all knowing, I know Michael once claimed to be a Jehovah's Witness, and I've read reports that he converted later to Islam. In both of these religions your good works in part determine if you go to heaven. So therefore, I know of nothing in Michael Jackson’s life that indicated that he trusted in Jesus alone for his salvation. And therefore Jesus' haunting warning in Michael Jackson's case is applicable, "For what does it profit a man to gain the whole world, and forfeit his soul?" What Do We Take to Heart from Michael Jackson’s Memorial? I pray that despite the confusing eclectic and ecumenical religious injections into Michael Jackson's memorial service, some will be lead to acknowledge that Jesus does love sinners, but especially those who trust in Him alone. And I pray that they will seek Him and through faith in Him alone, find in Him His promise to save is true. And I pray that all Christians who know this will openly affirm that it is true—Jesus alone saves, those who alone trust in Him. May God, who does all things right, be glorified.